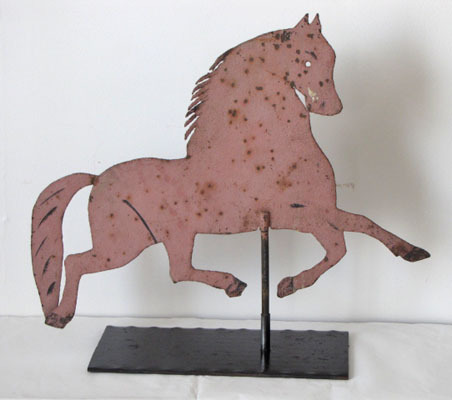 Sheet metal black hawk weathervane in original faded salmon paint with black painted highlights, surface is dry and untouched. 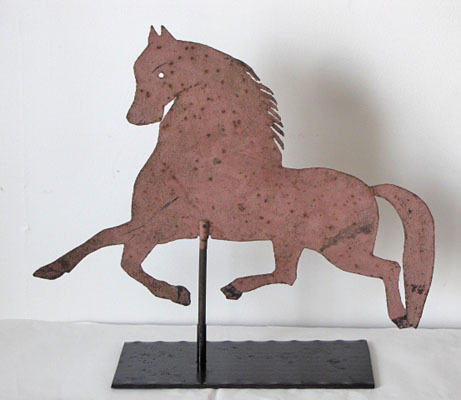 This weathervane is a true 19th century cutout and comes with a custom made stand. Measures 21" long and 18" tall on stand.